Sunday, January 20 from 11:00 a.m. until 12:30 p.m.
Koto is the theme of the next event to be held at Setsugekka, a charming tea shop I the East Village. 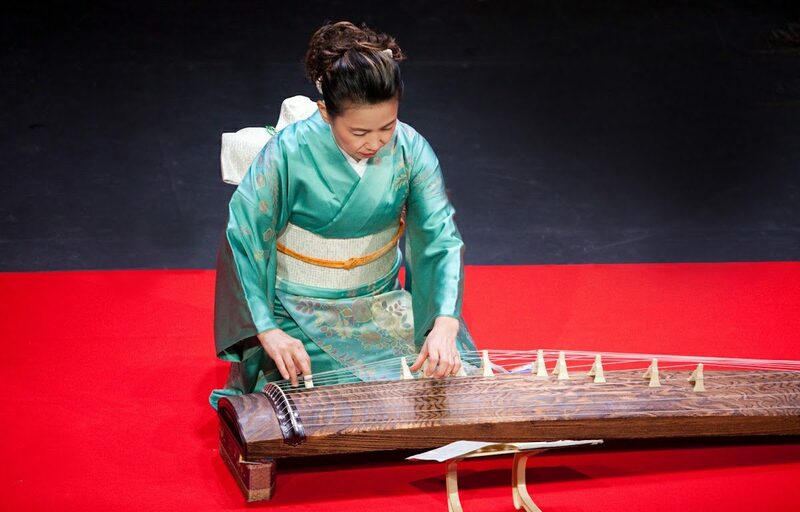 Renowned koto master Masayo Ishigure will give a lecture and perform, and she will also give guests an opportunity to play the koto themselves. Souheki Mori, tea ceremony master and owner of Setsugekka, will serve matcha and dry sweets. Ishigure began playing the koto and jiuta shamisen at the age of five in Gifu, Japan. She was a special research student in 1986 at the Sawai Koto Academy of Music, which incorporates many influences from classical to jazz and aims to change the perception of the koto from solely as a traditional Japanese instrument to an instrument of universal expressiveness. A resident of New York City since 1992, Ishigure has performed at many venues in the New York City metropolitan area, including Lincoln Center, Carnegie Hall-Weill Recital Hall, and Merkin Hall. She has accompanied several performances by New York City Ballet Principal Dancer Mr.Peter Boal and was a guest artist with the San Diego Symphony, New Haven Symphony Orchestra, and Seattle Symphony Orchestra. She has also appeared in concerts for music festivals around the world. Her music has been used in several television commercials, and CBS Master Works featured her music during the 1998 Nagano Winter Olympics. Ishigure has taught koto and shamisen at Columbia University since 2010 and offers private lessons in New York City, New Jersey, Long Island, and Washington, D.C.
For more information and to purchase tickets, please visit Setsugekka’s website.